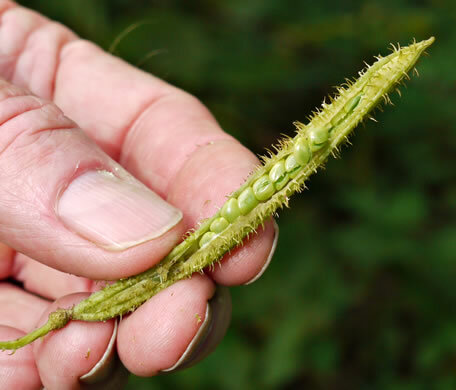 Leaflets asymmetric, 20-32 per pinna, per Vascular Flora of the Carolinas. 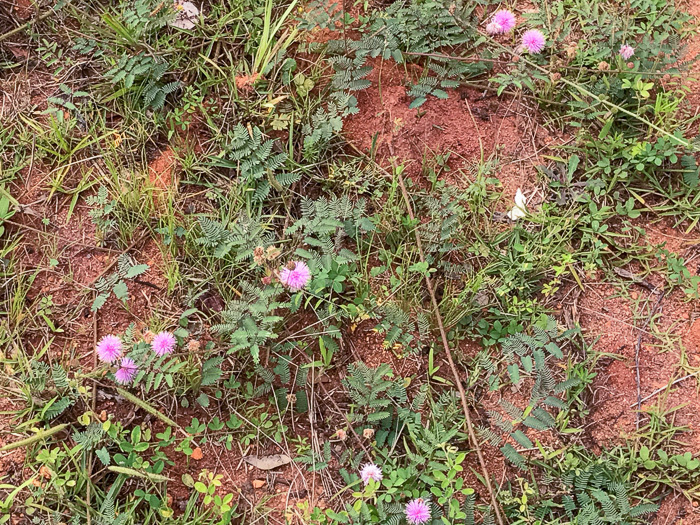 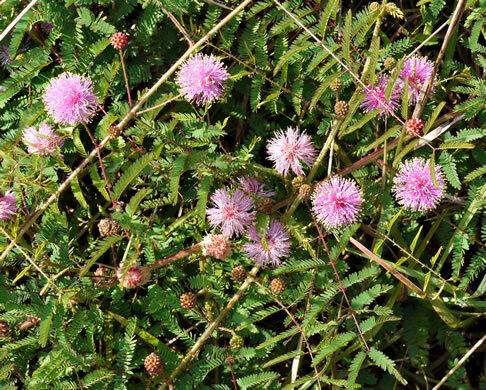 The tiny flowers are borne in a round, powder-puff-shaped cluster, per Wildflowers of Tennessee, the Ohio Valley, and the Southern Appalachians. 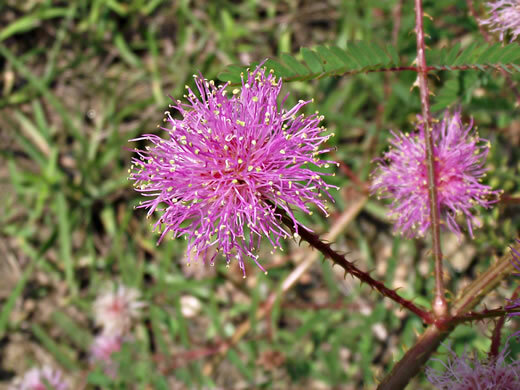 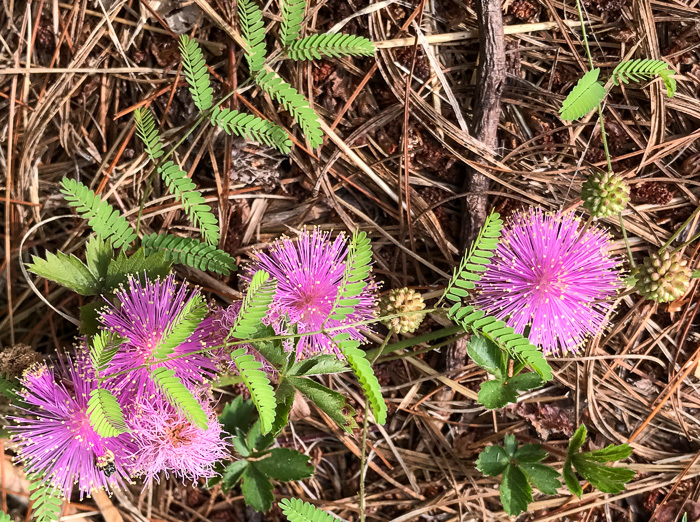 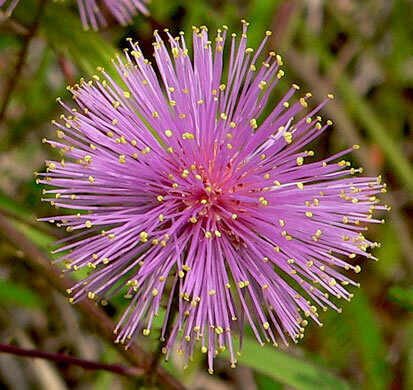 The flower heads are pedunculate, globose, and about 2cm in diameter, per Vascular Flora of the Carolinas. 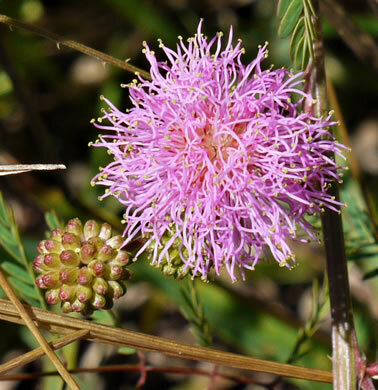 Each flower in this head has a small 5-lobed corolla & 10 long pink stamens, per Wildflowers of the Southern Mountains. 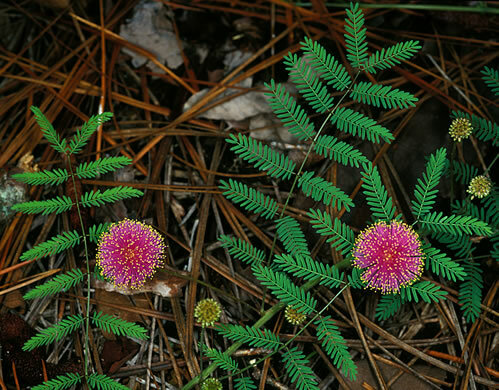 Plant typically with numerous prickles, per Vascular Flora of the Carolinas. 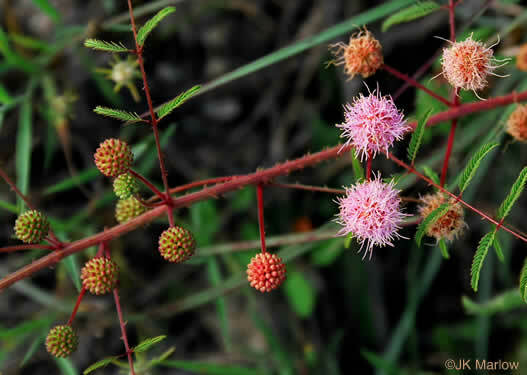 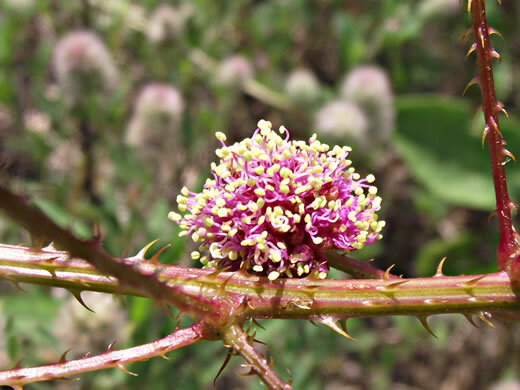 Fruits are conspicuously prickly, quadrangular, dehiscent legumes, per Wildflowers of Tennessee, the Ohio Valley, and the Southern Appalachians. 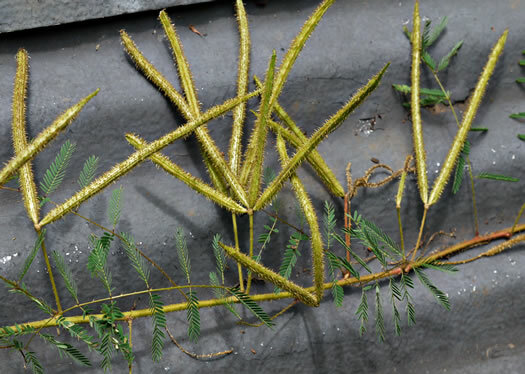 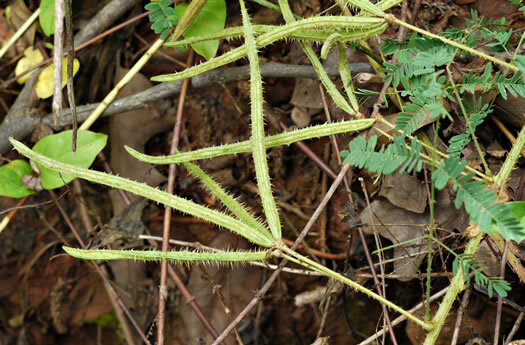 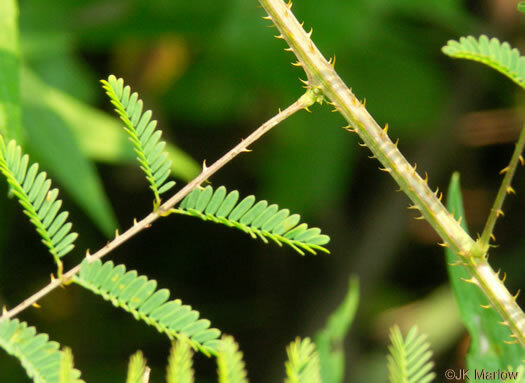 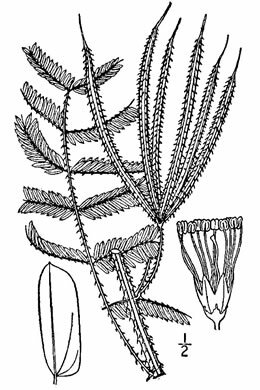 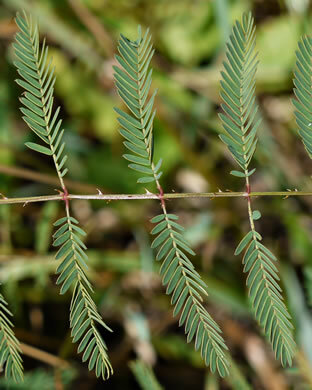 Bipinnate leaves with tiny leaflets that close when touched, per Weakley's Flora.